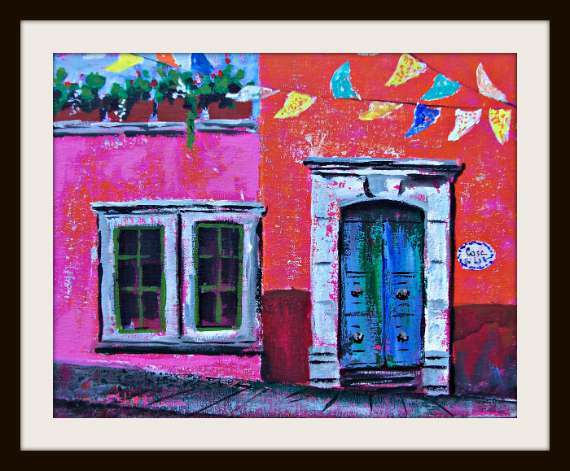 During the One Painting in One Day workshop, I demonstrate different techniques, and ways of representing wall texture, door texture, depth. As a result, by the end of the workshop I have a half finish painting. At times I take some extra time to finish it. 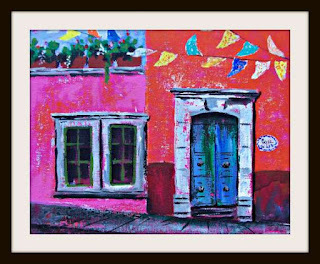 I use this painting to sow different participants how to paint the texture of the wall, a flower pot, flags, a street lamp. And when we are faced with a "mistake" I demonstrate how we can incorporate it into the painting.